This has proven to be quite a difficult post to write - sifting out the best bits for children from a festival that is predominantly for them! 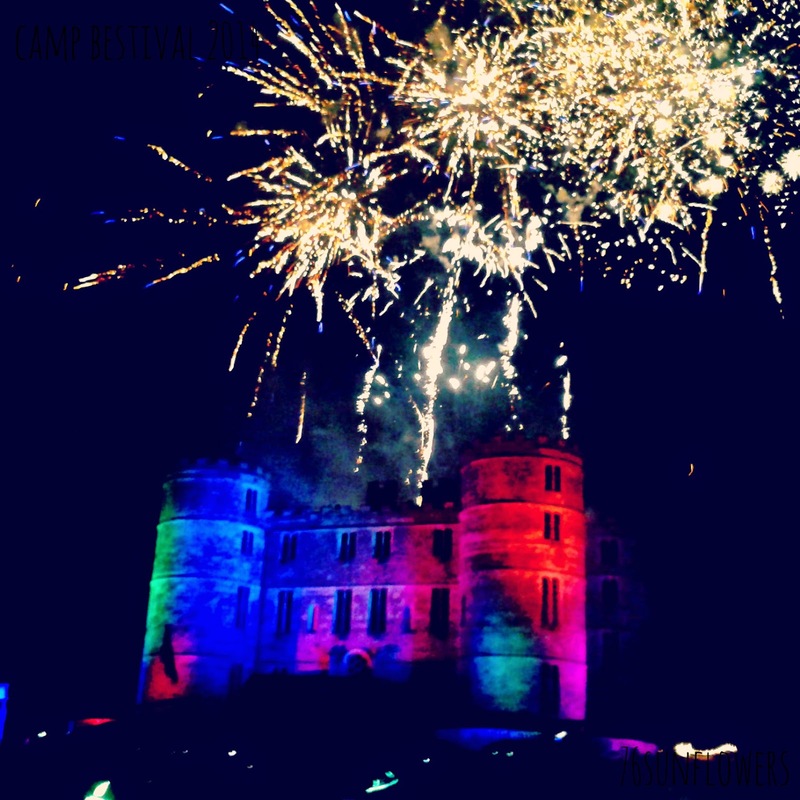 If you are unaware, Camp Bestival is an amazing family affair curated by Rob and Josie Da Bank and located in the beautiful grounds of Lulworth Castle, Dorset. Circus skills - particularly apt as the theme for this year's festival was Circus! They both enjoyed the circus area in the Kid's Garden; spinning plates, learning to hula hoop, perfecting the balancing and even making our own hoops - big and small. And what festival can be enjoyed without the bubbles?! Not just wanting to perfect our circus skills there were plenty of opportunities to watch the professionals at work. 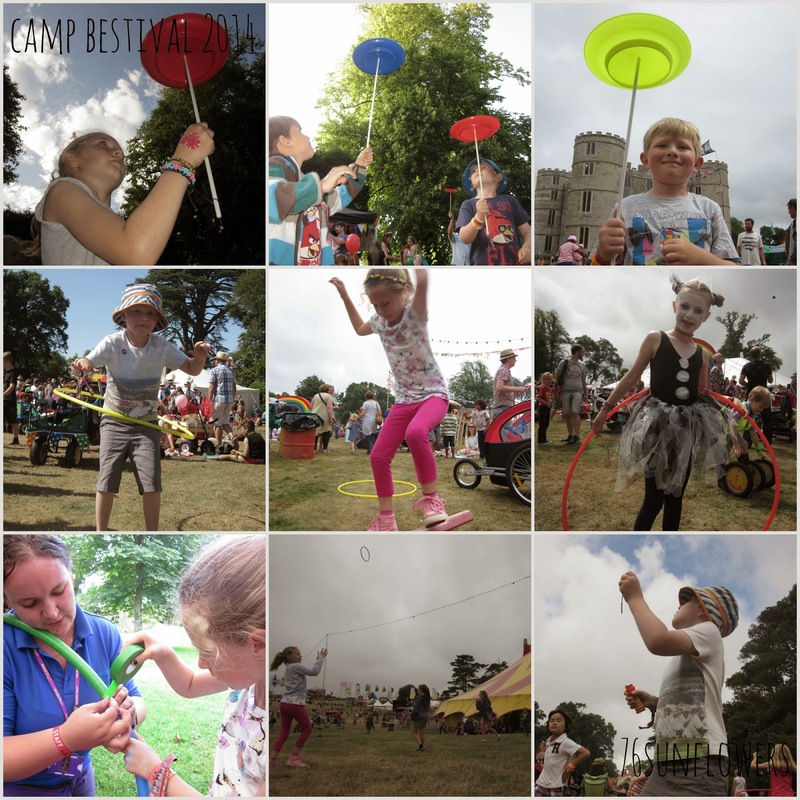 Two staples of Camp Bestival are the Kawa Circus and Insect Circus. The former has the stunning castle backdrop to showcase their amazing skills of balance and strength whilst the Insect Circus take up their regular spot further down the Kid's Garden with their ever growing collection of giant insects. 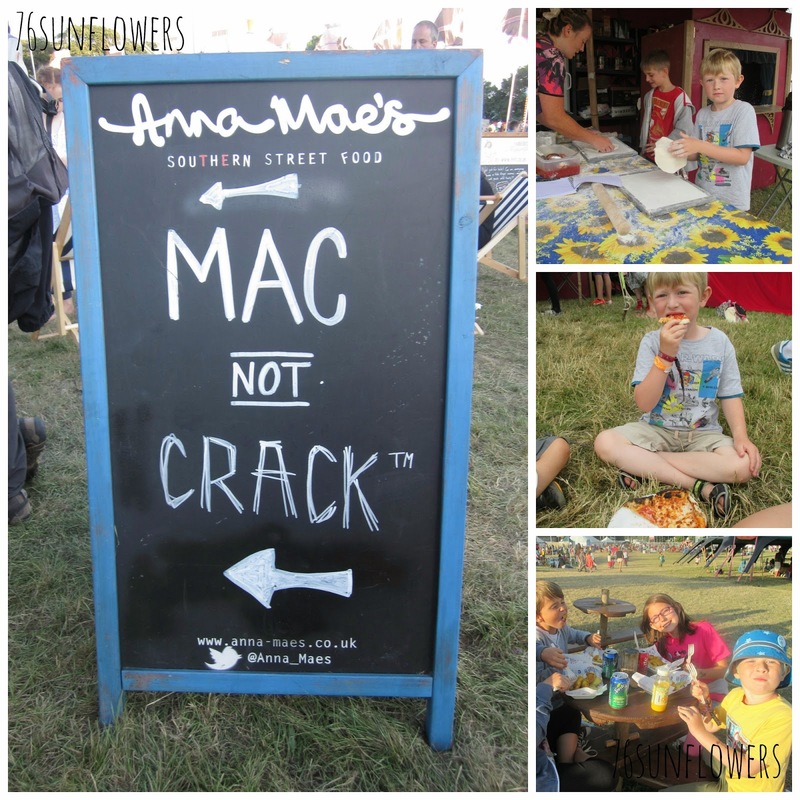 Food is always high on the agenda and Camp Bestival does not fail to please in this area. No greasy burger vans and fat doughnuts here, instead a wealth of food choices ranging from the Feast Collective to woodfire pizzas and the girl's favourite, Mac 'n' Cheese. This year the boy made his own pizza in the Soul Park - a free activity that he loved. Camp Bestival is the place to enjoy yourself with friends. Together the collective gang beat up the blow-up blobs, rolled down the many hills and chilled in their onesies with countless glow sticks and balloons to occupy them - whilst the grown ups supped cocktails. 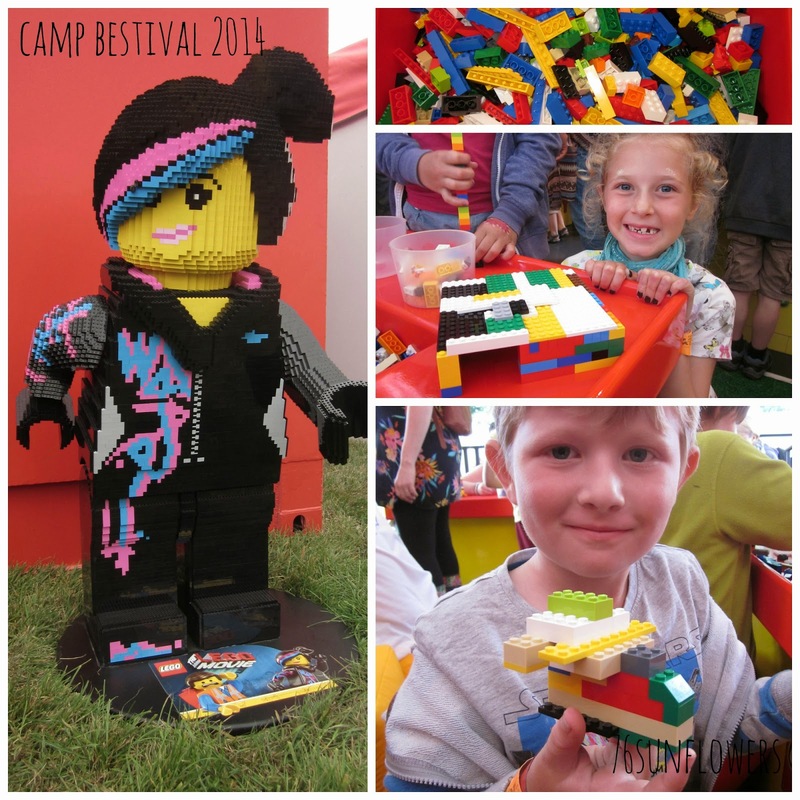 This year saw the Lego Experience arrive at Camp Bestival where the children could build whatever they please. Tubs of Lego and creations could be bought or, as we did, models could be displayed for others to enjoy. And finally, the fireworks were a definite crowd pleaser. We have never seen displays quite like the ones put on at Camp Bestival and they are the perfect way to wrap up an amazing long weekend. 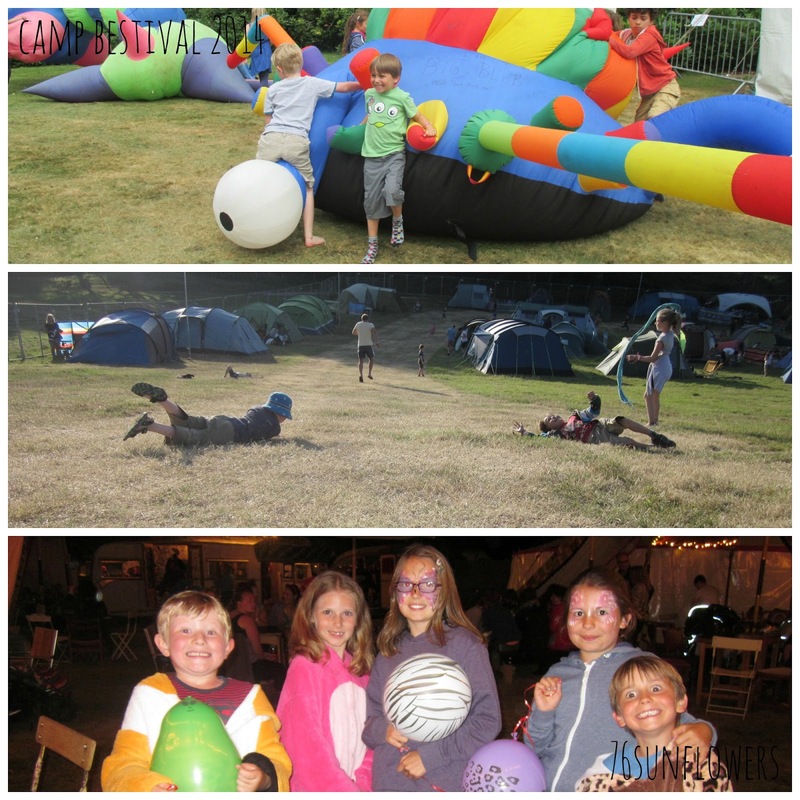 This just scratches the surface of what Camp Bestival is all about and if you want to find out more then take a look at my diary posts here: Thursday, Friday, Saturday and Sunday! 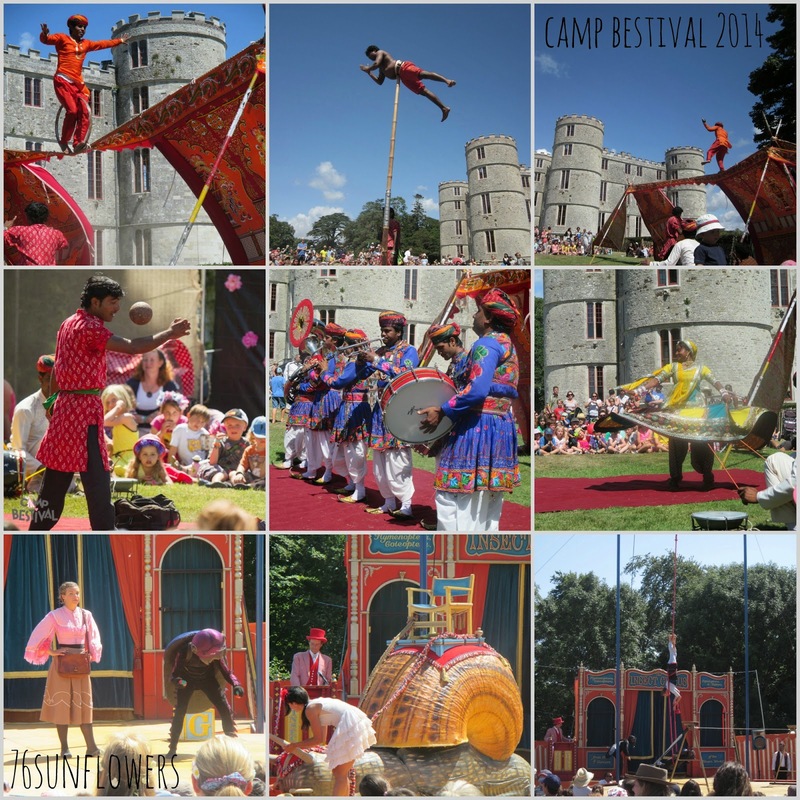 Disclaimer: I received family Camp Bestival 2014 tickets in return for previews and reviews of this year's festival. As always, views and opinions are my own. Just wow! So many amazing things to do there, and you've just picked out a few! This is definitely on my list of things to do once the kids are a little older. Such a wonderful experience and fun for all the family! Lots of great highlights and lovely activities for the children to enjoy at an amazing venue too. Thanks for linking up and sharing with Country Kids. WOW! Looks like you all had a great time!! There looks so much to do and see there. 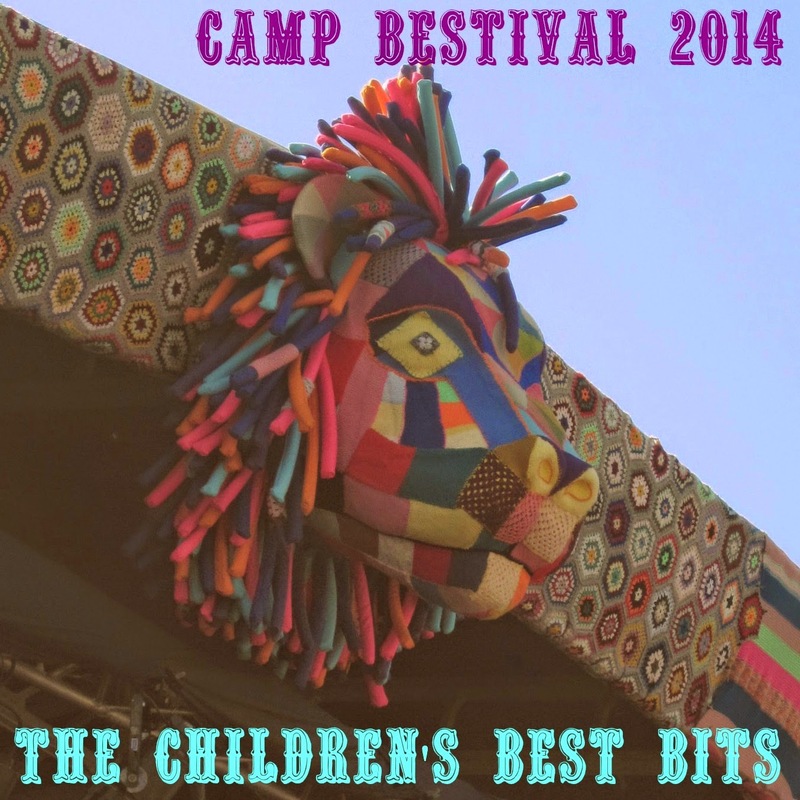 I've seen a lot of amazing blogs and Facebook posts from families enjoying Camp Bestival. I'm tempted each year but am never sure about the camping side of things, I like deserted middle of nowhere campsites!